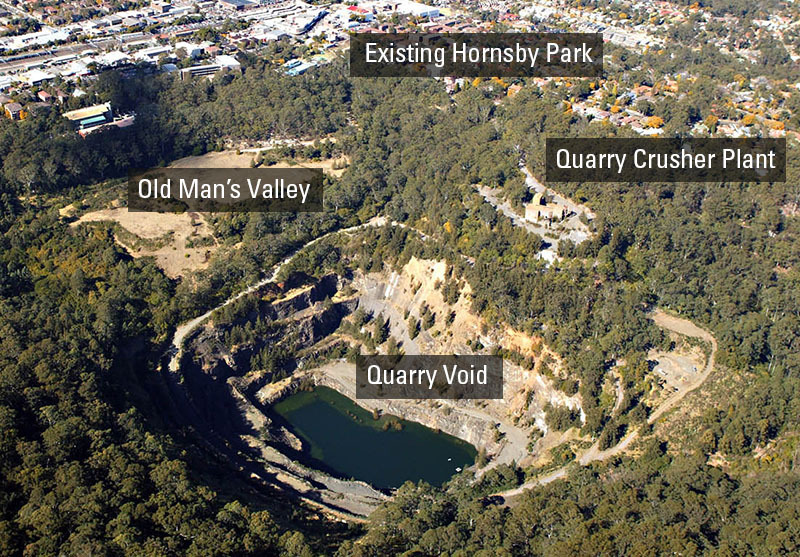 Hornsby Council is calling for locals to give their opinions into the design for the redevelopment of Hornsby Quarry. This opportunity to forward ideas and share views closes 29th of March, 2017 – information can be found here on their “Discover Hornsby Park” website. Hornsby Council are asking local residents and property owners for comments, sketches, illustrations and photos of ideas of what we would like to see in the new Hornsby Park. The 50 hectares of new parkland is going to be a huge asset for our community. According to their website, after this initial consultation period, Hornsby Council will display the best ideas at Community Information Sessions and through online forums with the hope that the new park will be open to the public in 2023.